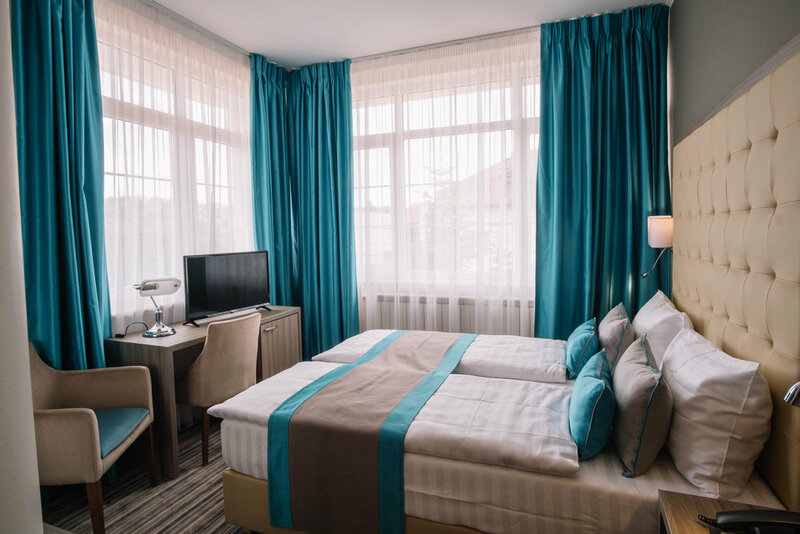 Located on the beautiful hills of Cluj-Napoca, Norm Hill Hotel welcomes you with a stunning view over the city, a stylish, minimalist decor and a friendly atmosphere. 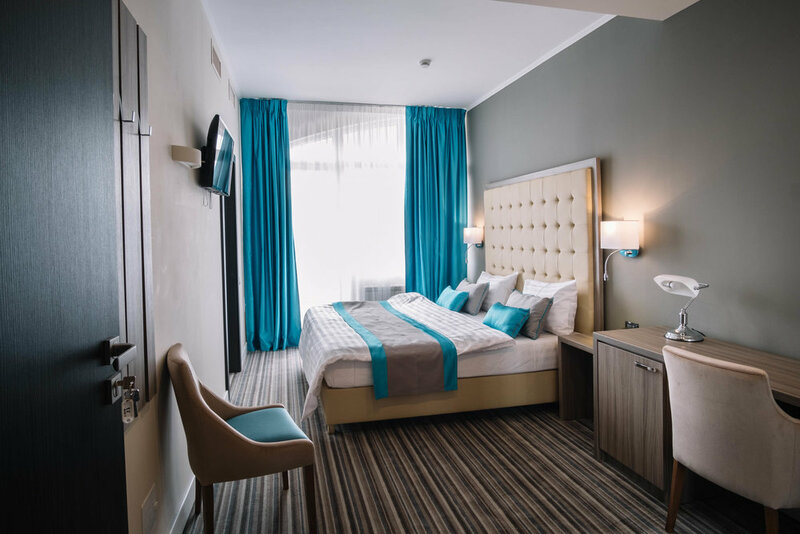 Escape the hustle and bustle of downtown and enjoy some peace and quiet in a private environment, in this very chic boutique hotel, perfect for your city break or business trip. Our staff is always at your service, through our 24h reception. Guests at Norm Hill Hotel can enjoy a delicious buffet breakfast and free parking. 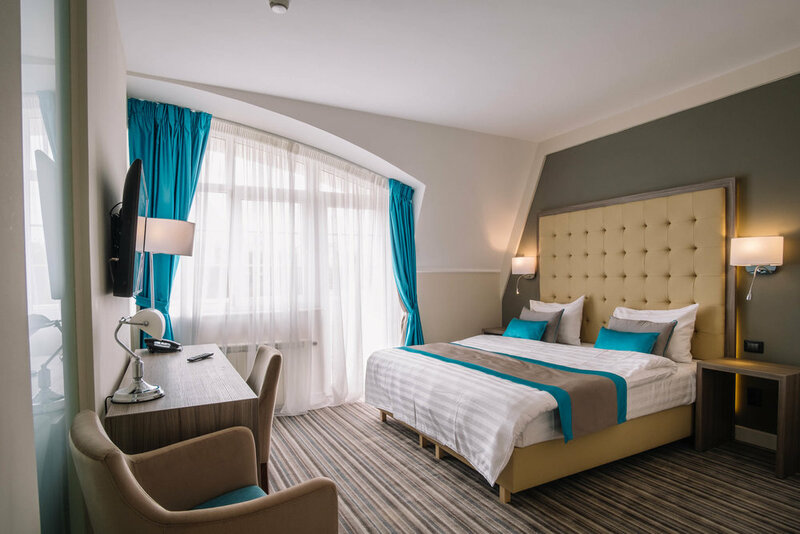 If you need to catch up on some emails, important phone calls or work, Norm Hill Hotel offers you a private workspace where you can do all these. The room is fitted with a desk, printer and free Wi-Fi, for maximum productivity. Coffee is on us! Consider our conference room for your next workshop or presentation if you are looking for a quiet room with modern amenities. The conference room can fit up to 75 people and is fitted with a white screen, video projector, and sound system. Coffee breaks or catering can be provided upon request. 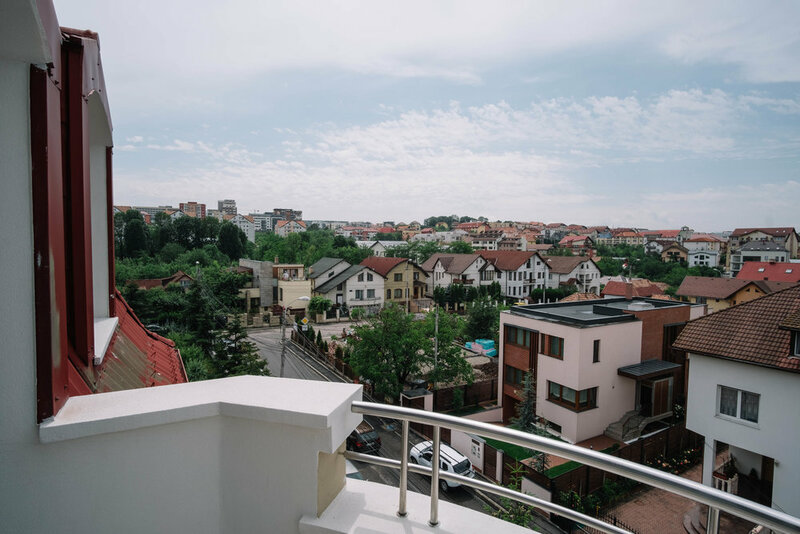 Cluj International Airport is 8 km away from the hotel, while the city center is 9 minutes’ drive away. The nearest public transport station is within walking distance. The hotel is also close to important medical institutions, The Botanical Garden and very good bars and restaurants. Your new home away from home awaits.